The Honors program in international studies enables superior and highly motivated students to engage in an in-depth study of international studies topics of interest to them and to develop their scholarly abilities in this interdisciplinary field of study. 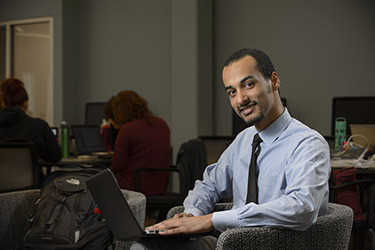 To enter the honors program in international studies,you must be an international studies major, have attained senior standing, have a cumulative grade point average of 3.0 overall and 3.5 in the major, and have applied to the director of the international studies program for admission no later than the beginning of your senior year. As a candidate for honors in international studies, you must also complete an honors research paper. This 20-25 page paper may be written as part of an independent study or for an advanced, limited enrollment seminar in any discipline in which you have had significant coursework. You must earn an A or B in the course and on the paper. If you fail to meet this grading requirement, you will not graduate with honors in international studies, but you may still count the departmental honors course toward your international studies major if the course is completed with a minimum grade of C.